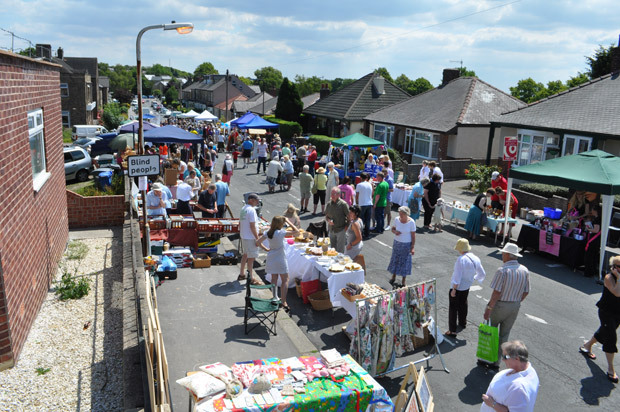 People from all over Sheffield flocked to buy local food, drink, gifts and crafts at Sunday’s Crosspool street market on Selborne Road. The beautiful weather meant that visitors could make an afternoon of it and also enjoy music and dance performances from Lydgate school pupils. Many of the local shops also got behind the event and opened up for the day. Photos are below in both gallery and slideshow form. There are plenty more events at Crosspool Festival this week, including the big Summer Fayre on Saturday and Community Picnic on Sunday. This entry was posted in crosspool, crosspool festival 2011, events, food, news, photos, shops and tagged crafts, crosspool festival, drink, farmers market, food, gifts, selborne road, street market. Bookmark the permalink.